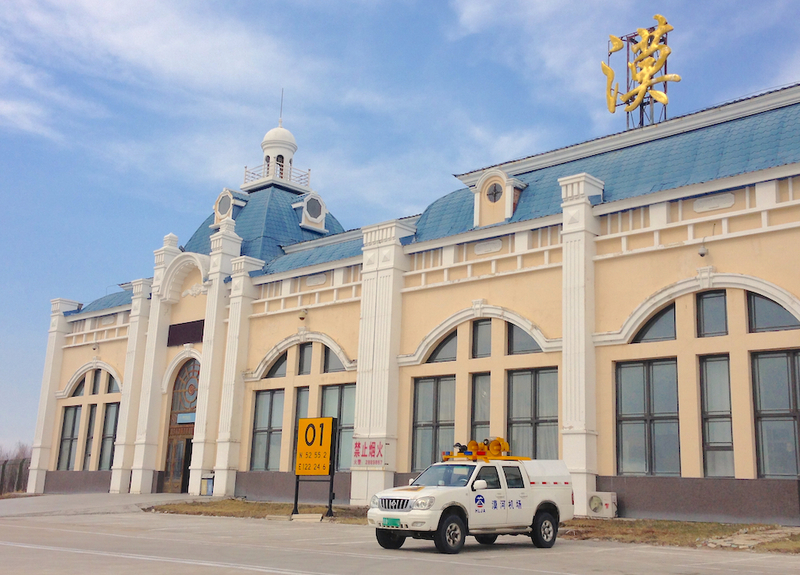 After Harbin, we head North to Mohe, still in the Heilongjiang province. 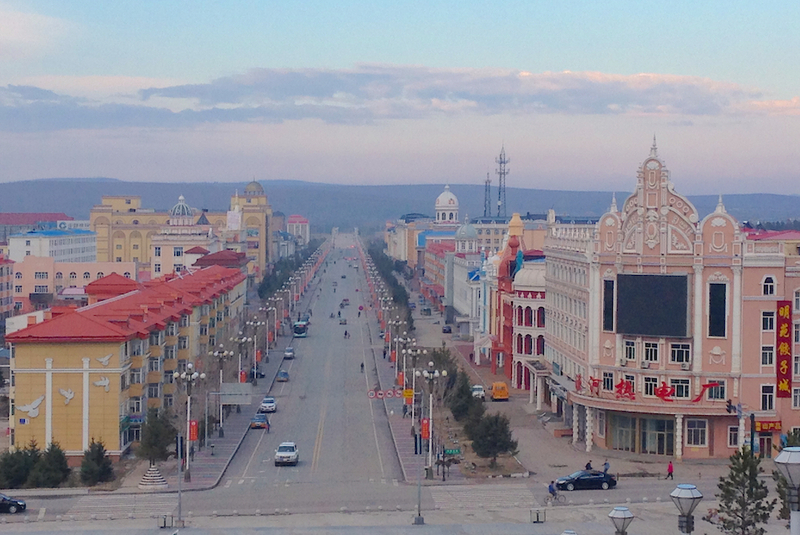 This is the northernmost city in the whole of China, completely rebuilt in 1985 after a devastating fire in striking Russian imperial-era style with colourful facades, spired domes and pillared entrances. 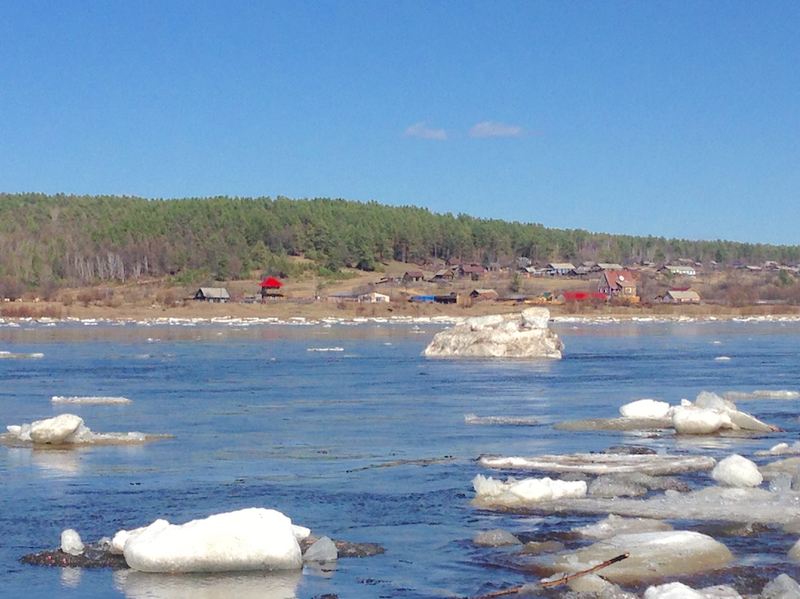 A further 60km north via a deserted highway is Beijicun (literally “Arctic Village”), the northernmost settlement in China on the Amur River, the border with Russia. 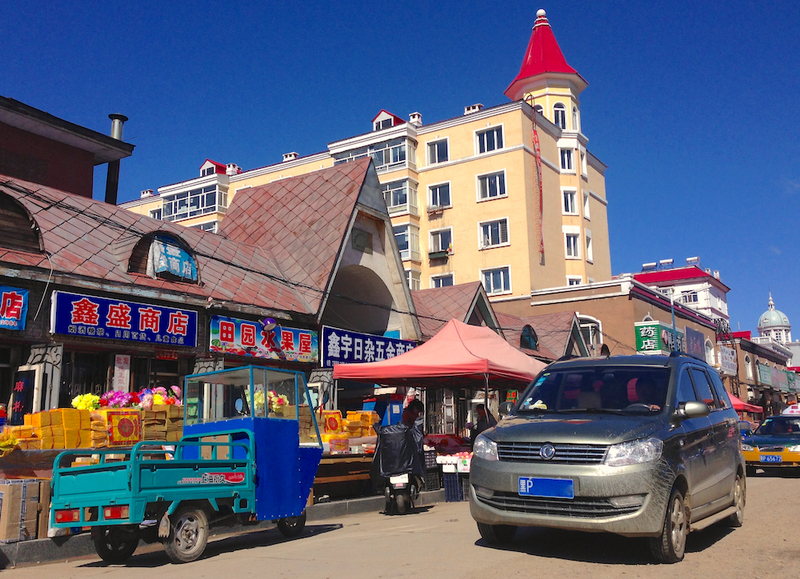 Mohe is the northernmost city in China. In fact, on a couple of view points in Beijicun you can clearly see a Russian settlement on the other bank of the river. 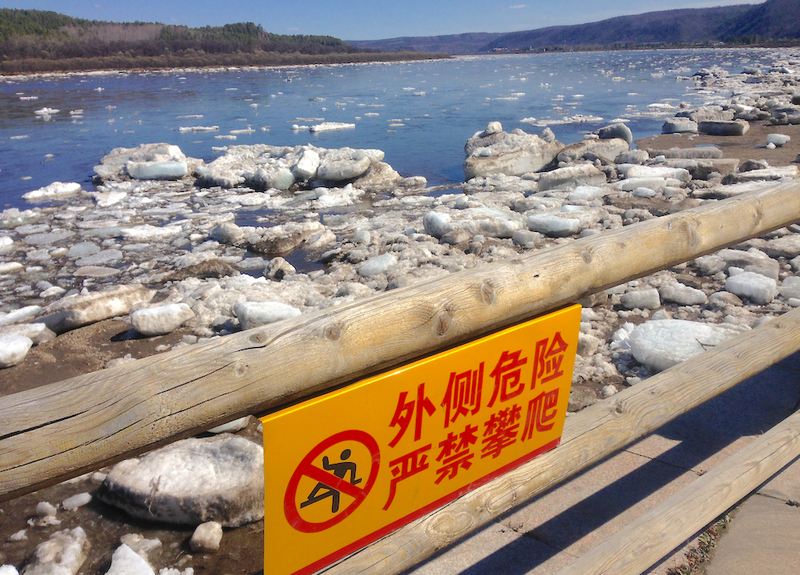 Even though it was the last day of April when I visited, the river was carrying a large amount of ice blocks thawing their way towards the Japan Sea. As you can see on the map above, in Mohe we are further north than any point in Mongolia and around the same latitude as the north of Lake Baikal, two regions I reported on in a previous Trans-Siberian series. You can see the Russian part of the Trans-Siberies Photo Series here and the Mongol part here. 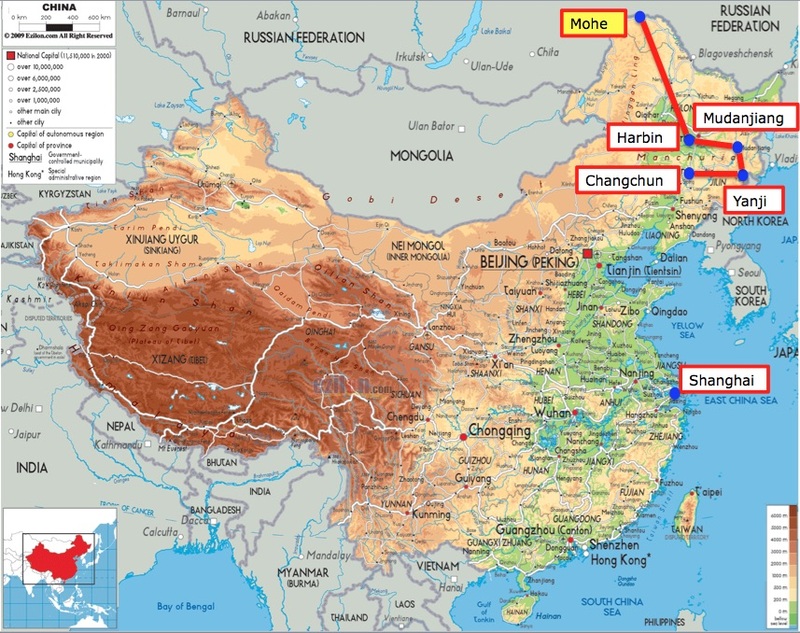 Logically, the Mohe County is where the lowest temperature was ever recorded in China at a scary −52°C (−62°F) in February 1969. This location single-handedly places China as the 5th coldest country in the world after Russia (−68°C/−90°F), Canada, the USA and Austria. To finish on the trivia, let it be known that the all-time lowest temperature ever recorded on earth (by satellite) stands at a terrifying −93°C/−136°F hit in Antarctica in August 2010. 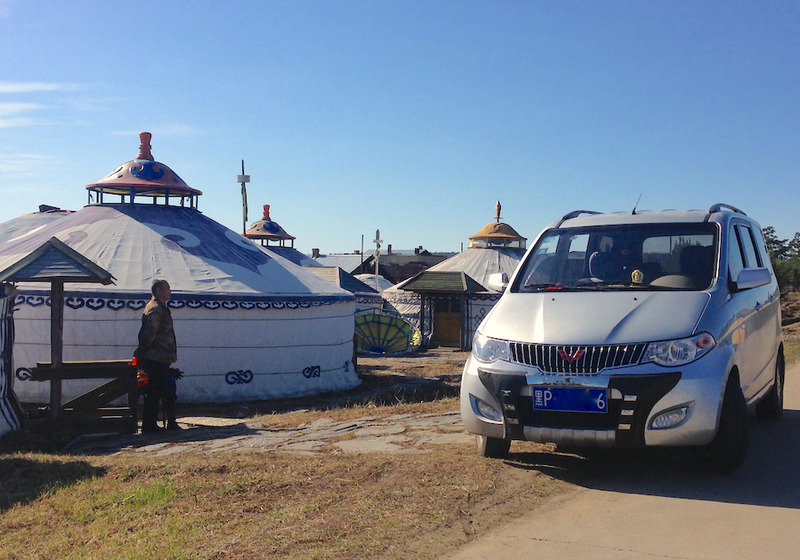 Mohe marks the most ‘adventurous’ location I have visited during this exploration of North-eastern China. Stepping out of the only plane in the airport 1967-style straight onto the tarmac, handling terse female taxi drivers (1/3 of taxi drivers are female in Mohe) refusing to take me on unless I paid double the usual amount for the airport-city centre ride, hopping on one free taxi standing alone outside the airport only to have my driver be chased by *the police* for cutting the queue. Not being able to stay in the one hotel recommended by Lonely Planet because I’m a foreigner, discovering that the Golden Horse Palace (literally a palace but charging only $40 a night) isn’t able to accept my MasterCard. Having the China Post Bank almost swallow my credit card as a souvenir and thanking the good old Agricultural Bank of China for graciously spitting out much needed cash allowing me to stay in town just as I was making plans to jump back on the plane I arrived in. In Mohe more than anywhere else, I was the attraction in town being the only foreigner thousands of kilometres around, feeling like a hollywood movie star every time I stepped out. No one speaks English here, but everyone under 25 has a Samsung Galaxy smartphone (all the rage in this part of the world) with a Chinese-English translator that they excitedly hold up to me so we can communicate, each of us with a big smile. This is why I love China. Now that we’ve set the scene, what is the car landscape like in Mohe? Firstly, given we are at the lowest city tier level (County) and as it was the case last year in Kashgar and around all the way to Xinjiang Uyghur in Western China, Chinese manufacturers edge past foreign ones to take the lead and represent roughly 60% of the parc. 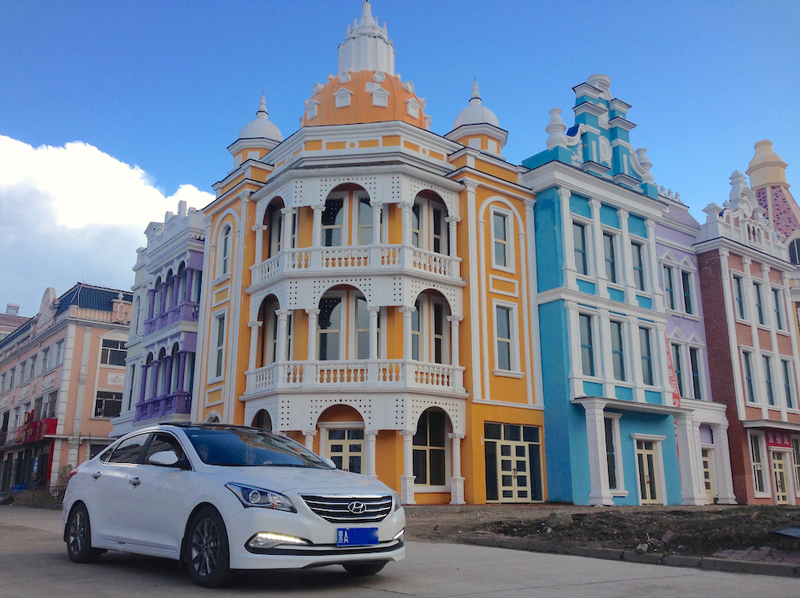 Although there are quite a few battered FAW Xiali around, the auto parc is remarkably young for such a remote location, and a lot of the latest sales stars are already in town, such as the Haval H6 Sport (a few of them), H1 and H2, Baojun 730 and Peugeot 2008. 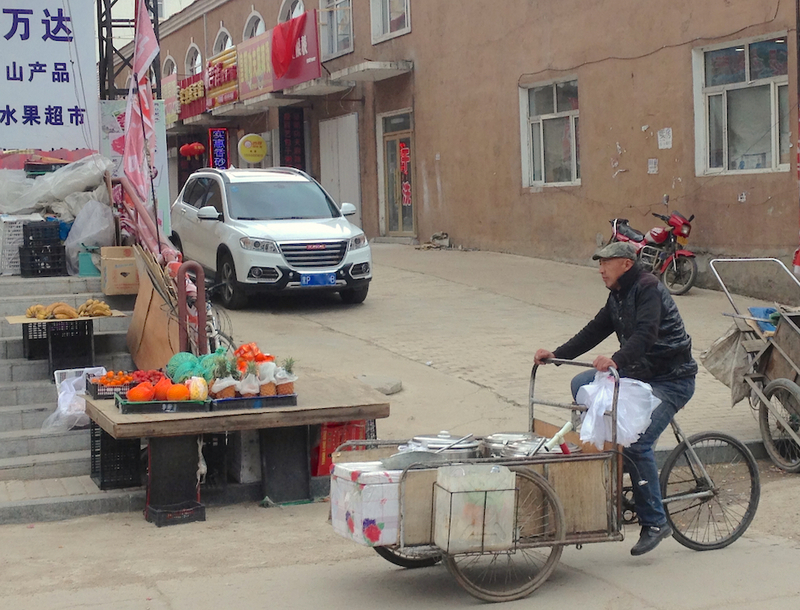 At 5 yuan the ride anywhere in town (US$ 0.80! 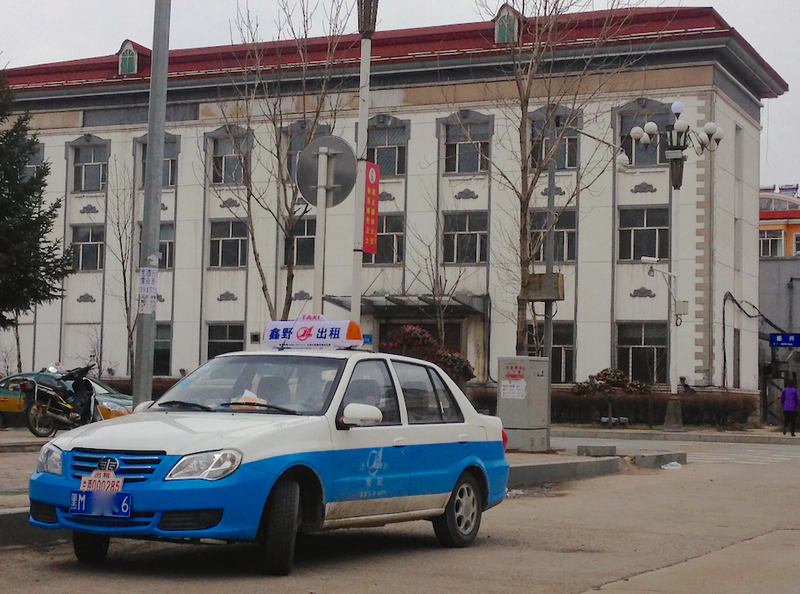 ), taxis are a well-used means of transportation and they swarm the few streets of Mohe. 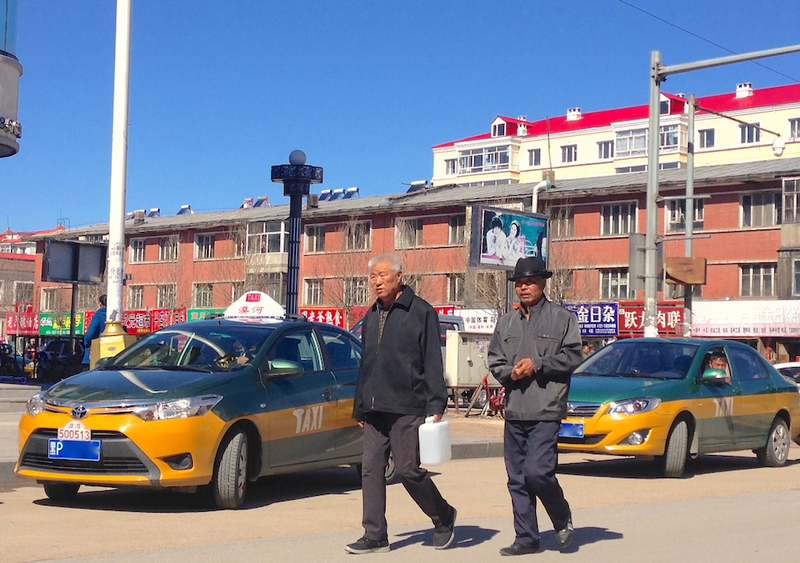 Given it is such a small town, it is easy to recognise the taxi drivers that you have used and wave them down for further rides if they’ve been friendly – which is what I did for my trip to Beijicun as I will detail later on. Unlike all cities I visited so far this year, there is not a standard taxi nameplate here, with a flurry of models being used such as the Toyota Vios, Hyundai Verna, FAW Xiali N3, BYD F3, Shanghai Englon SC7 or Chery E5. 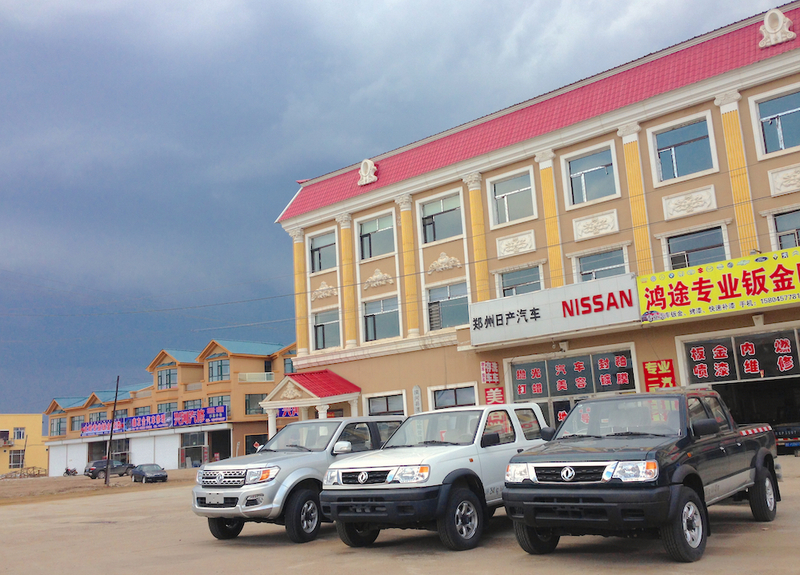 There are a couple of car dealerships in town: one for Dongfeng proudly displaying the latest generation Rich pickup launched last December (first on the left in the opening picture of this article) and one for JAC which hasn’t exactly been met with extraordinary success so far, judging by the low number of JAC models in town. Dongfeng on the contrary has already made a mark, with a reasonable amount of previous gen Rich pickups in the streets as well as the V27L van and its double cabin pickup variant. Mohe-Gulian airport, opened in 2008. 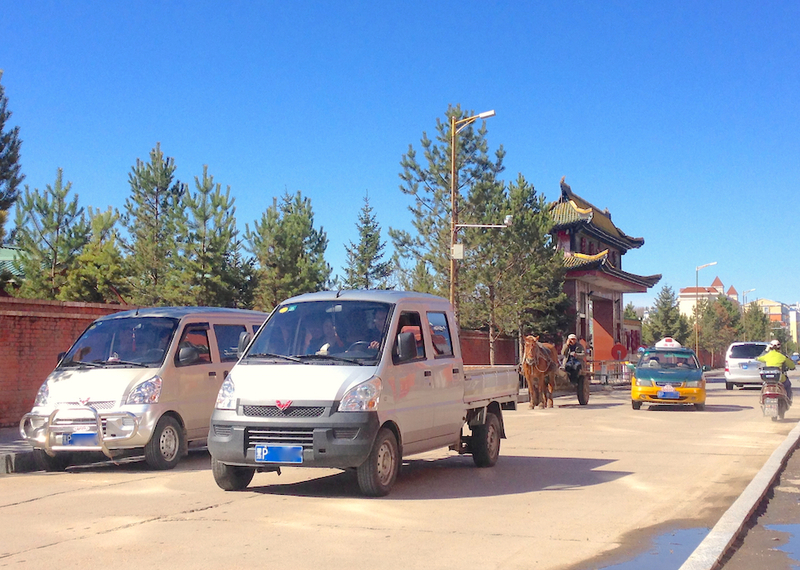 The Wuling Mini Truck aka Rongguang Pickup is by far the most popular new nameplate in town, it is not rare to spot 4 of them parked behind one another during the daily morning market. 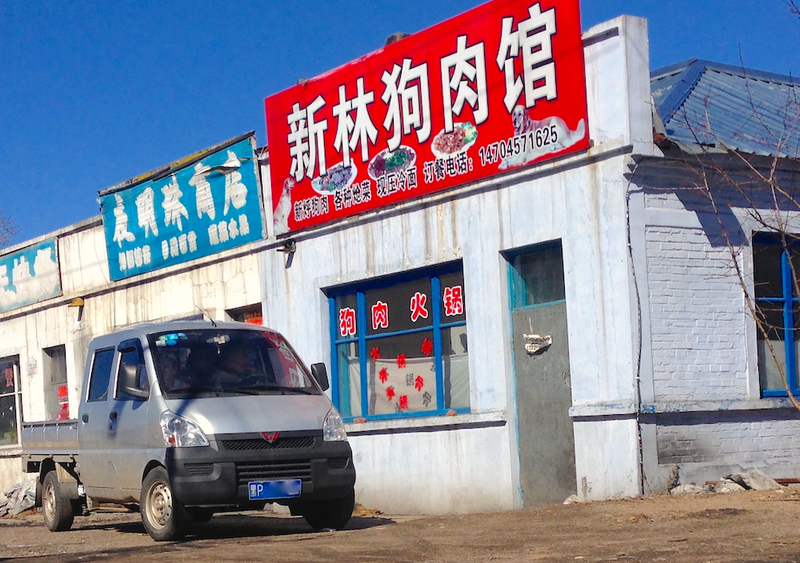 The transition from traditional microvans to double cabin mini pickups is a trend I detailed in the China LCV April 2015 update. 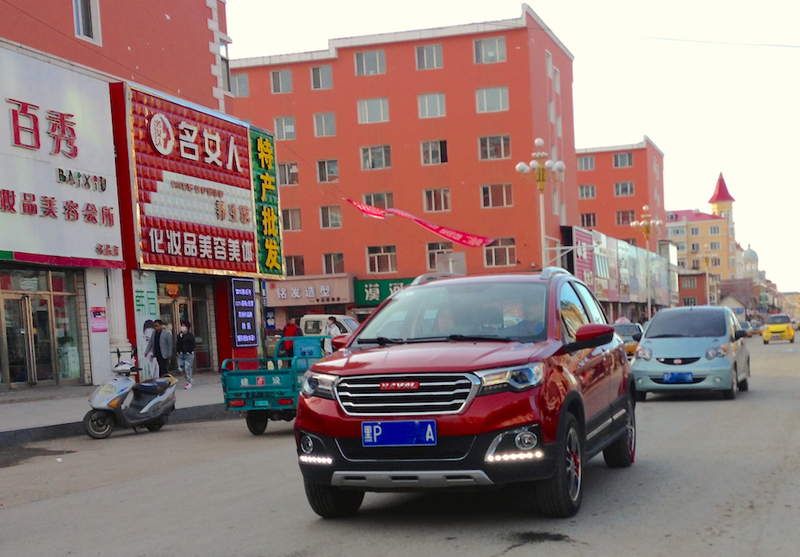 Other popular nameplates in town include the Haval H6 Sport, Wuling Hongguang, Baojun 730, Toyota Vios, Hyundai Verna, Elantra Yuedong and the latest generation FAW Xiali N3 – justifying its survival in FAW’s lineup. Volkswagen has managed to establish a solid presence in the County, with the Bora, Jetta, Sagitar and Santana the most popular in this order. 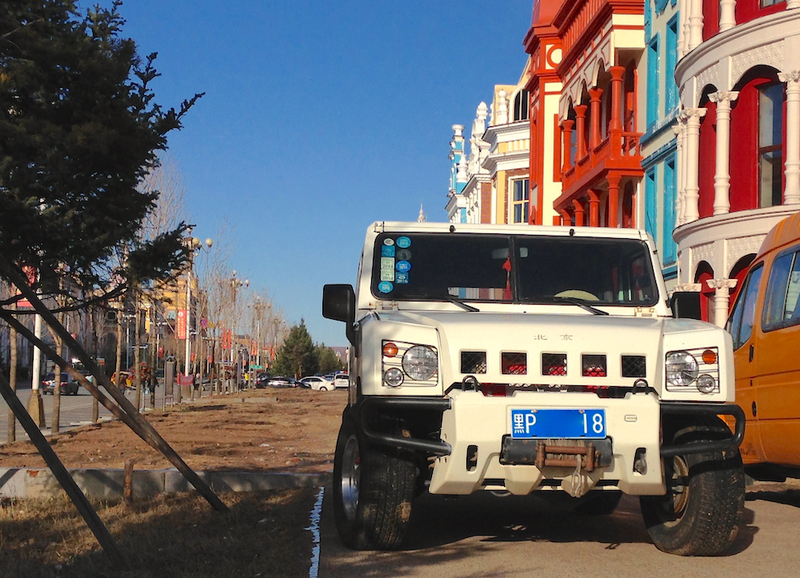 In line with the part of the world we find ourselves in, there are a few signs of ‘steppe customer tastes’ (choices that would be typical in neighbouring Russia and Mongolia) in the form of a couple of badass BAW Yongshi trucks, one of them pictured above. Pickup trucks also point their bonnet in town, including the now mandatory Toyota Tundra, the ZX Auto Grand Tiger, Great Wall Steed and a few Chevrolet Colorado-cloned JAC pickups. Taxi driver Guo Myang having been particularly helpful on my confused ride from the no-foreigner hotel to the Golden Horse Palace, I waved him down the next day for the 70km ride north to Beijicun. Heavily militarised, this seems to be a pretty sensitive area with a Russian mirador built across the river from the touristic northernmost point you can walk to in China – I won’t publish any photos of this location for security reasons. A rather fascinating spot nevertheless, with no roads to Russia – the only option to cross the border being private motorboats, none of them were afloat at the time I visited, potentially because of the big ice chunks travelling at speed on the river as Spring was slowly transforming into Summer. Clearly visible from one of the Beijicun viewpoint where one military officer complimented me about my beard (what the?) is one Russian settlement pictured above. 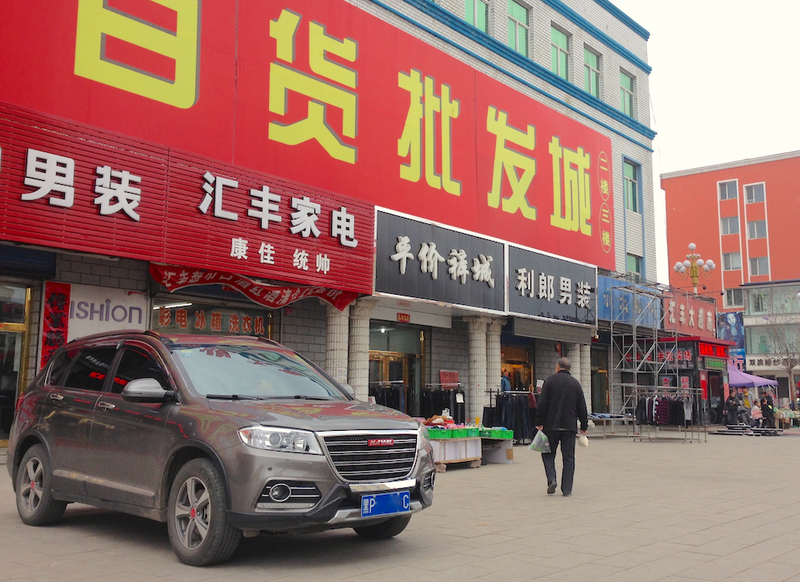 I tried to spot a few Ladas without success… In Beijicun itself, a few of the latest faves of the Chinese market are represented, namely three Wuling Hongguang, two Haval H6 Sport, two Nissan Qashqai, one Baojun 730, one Zotye T600, one VW Sagitar, one VW Lavida police car, one Toyota RAV4, Mazda CX-5 and one Huanghai Plutus pickup. This concludes my Photo Reports about this part of China. A few Strategy articles will follow as this trip as enabled me to improve my understanding of the trends at play in the Chinese market and the subtle differences between cities. Stay tuned for more detailed insights! The entire Photo Report (35 pictures) continues below.